Large Bore Screw-On Chuck Fits 3/8" ID air hose Haltec 10013 / Bowes HT 10013. 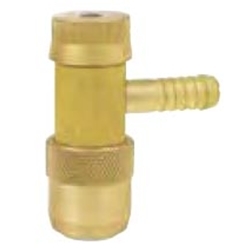 Fits 3/8" ID air hose. Screws on to Large Bore valves. Open and close the valve core by turning the knob on top of the chuck.